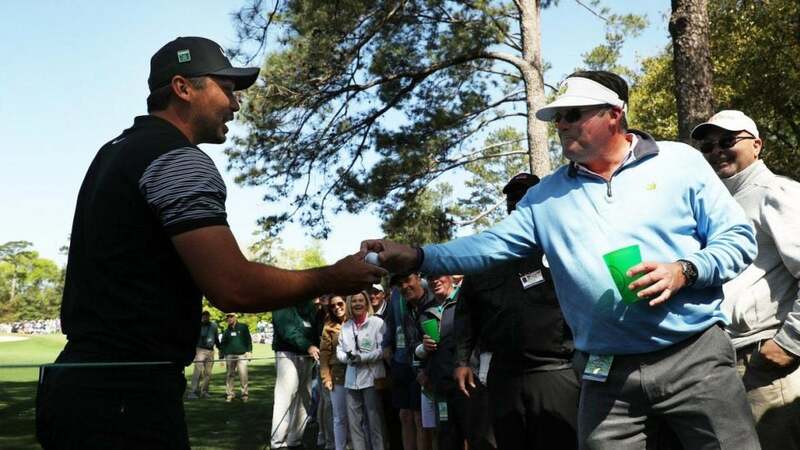 It was not quite the cup Jason Day was aiming for: after ricocheting off a tree, Day's second shot on his first hole at the 2018 Masters plopped into an unsuspecting patron's beer. The shot went right, rebounded off the tree, skipped off the patron's shoulder and splashed into his full drink. He downed the beer so Day could get his ball back, and Day finished the hole with a bogey. He's not off to a great start so far this year at Augusta; he's currently four over through nine holes. Day is hoping to improve upon his T22 finish last year and his T10 finish in 2016.